Las Terrenas Travel Information - General Information about Las Terrenas in Dominican Republic. Find General Information about the beach town of Las Terrenas. Las Terrenas is located on the northeastern coast of the Samana Peninsula, about a 45 minutes drive from the town of Samana, and only 20 minutes away from the El Catey (AZS) Samana Airport via the new scenic highway running along the Atlantic coast. Back in the early 1980's, Las Terrenas was pretty much only a sleepy fishermen's village and over the last 30 years the village was redeveloped entirely transforming the old fishermen's cabins into a modern resort full of hotels, villas, apartments, bars, restaurants and shops. The scenic beauty of the place with its endless beaches (more than 20 kilometers of beaches) and the coexistence of different nationalities (French, Italian, German, Swiss, Canadian, American and Spanish : About 6000 foreigners in all.) 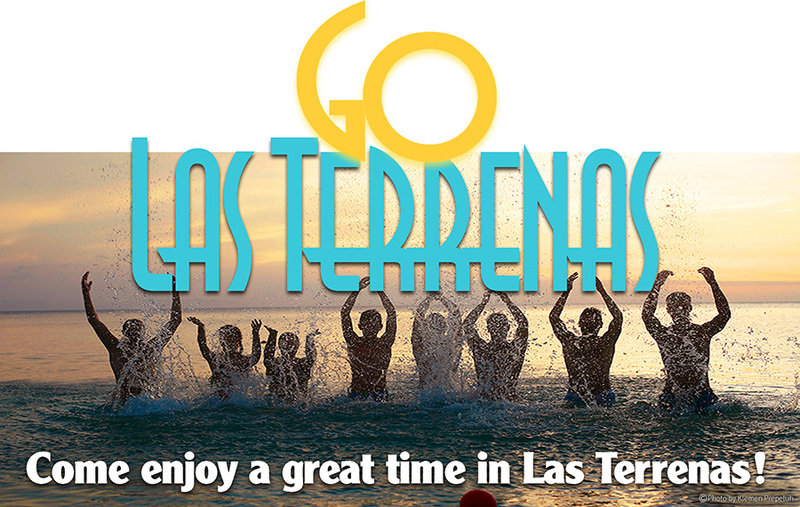 helped make Las Terrenas the most vibrant and cosmopolite vacation destination in Samana peninsula. from the village of Las Terrenas. POLITUR ( Now named SECTUR ) is the Tourism Police force in Las Terrenas, with more than 60 agents patrolling the Samana Peninsula villages, streets and beaches. Internet WIFI when you are a customer. You will find many offices spread all over town. Punta Poppy beach ~ Is one of the most popular beach very close to downtown Las Terrenas. Its also a favorite Kite Surfing spot. Playa Las Terrenas beach ~ “Las Terrenas Beach” is the main strecth of beach starting from the Fisherman's Village (Pueblo Los Pescadores) with many kilometers of golden sand beaches, crystal clear waters and coral reef banks. Playa Bonita beach ~ Located about 5 kilometers from downtown Las Terrenas, this beautiful long beach is quiet and secluded. Playa Rincon beach ~ Considered as one of the most beautiful beach in Dominican Republic, this exceptional and very secluded 3 kms long white sand beach is located about 75 kms from Las Terrenas. Playa Fronton & Playa Madame ~ Totally spectacular and very secluded, these 2 beaches are located about 70 kms from Las Terrenas and are about 12 minutes away by boat (boat to hire) from the main beach in Las Galeras. Just ask any owners of boats there (plenty to choose from, about 20 boats available) the best price to get there. Open Monday to Saturday from 9:00 am to 2:00 pm - ALL YEAR LONG. Samana has one of the largest marine mammal sanctuaries in the World. It is a major center for Whale Watching activities in the migration season, every single year the Humpback Whales are here from January 15th to March 31st.